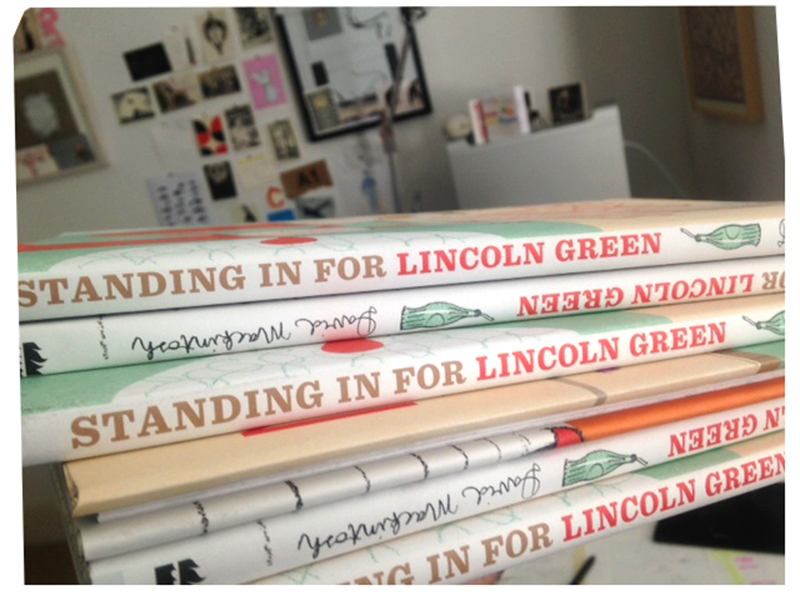 Standing In for Lincoln Green is published today in the US by the wonderful Susan Van Metre and Abrams Books. It's a nice hardback with jacket, as with Marshall Armstrong and The Frank Show. If you look carefully, you can see an empty bottle of sarsaparilla on the side, or spine as it is commonly known. It's a good book for lazy types and shirkers. That's for sure.